Labour organizers say not everybody can afford to leave the GTA for a more affordable life. 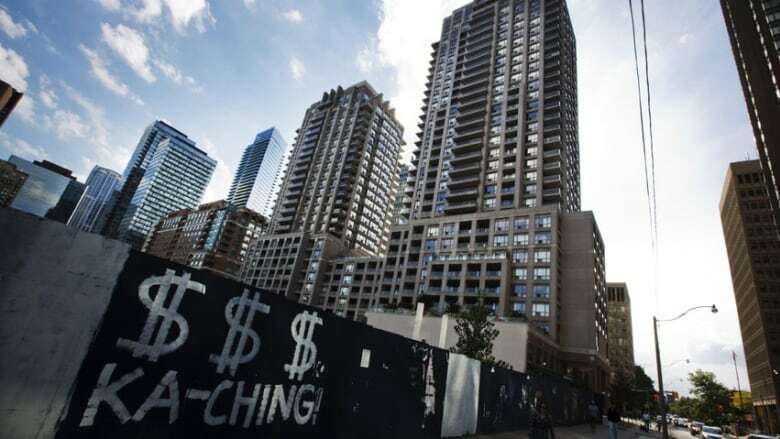 The high cost of living, especially soaring rent, means being priced out of certain neighbourhoods, areas of the city and even the city itself. For Christine, the high cost of living in the Greater Toronto Area means juggling four part-time jobs. It means one long bus ride after another, borrowing money from her parents when she doesn't have enough and living in a cramped basement apartment in Richmond Hill, Ont. Christine, 45, a single woman whose last name is being withheld to protect her employment, says a minimum wage increase to $14 in January 2018 improved her life, but still her day is long. She gets up at 8 a.m., leaves at 8:30 a.m., spends about an hour and 15 minutes on a bus to get to work, often works two jobs a day, then returns home sometimes after 11 p.m. There are no luxuries. "Honestly, nothing can get cut because I'm down to bare bones. I don't have TV or anything like that," she told CBC Radio's Metro Morning. "I don't have any entertainment." Christine is not alone. Labour organizers say not everybody can afford to leave the GTA for a more affordable life. The high cost of living, especially soaring rent, means being priced out of certain neighbourhoods, areas of the city and even the city itself. Effectively, it also means minimum wage workers are priced in, as in stuck in the GTA with limited choices. 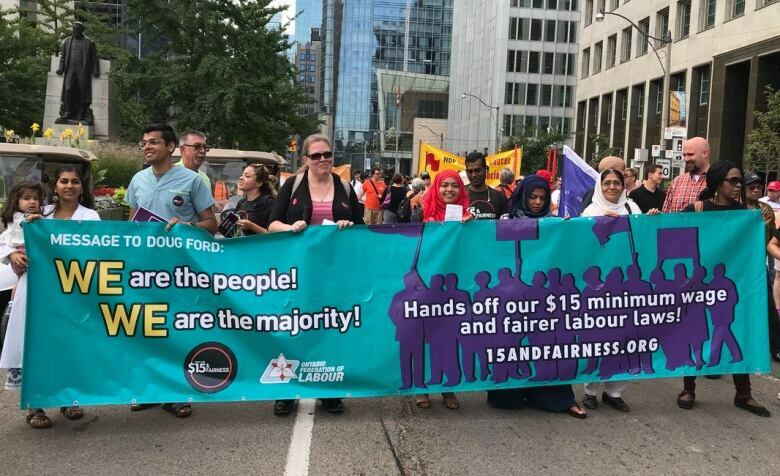 Organizers say a planned increase in the minimum wage to $15, put on hold by the provincial government, would help low-income workers, but they know getting the hike with Doug Ford in power will now be a fight. The previous Liberal government planned to increase the minimum wage to $15 on Jan. 1. Deena Ladd, a co-ordinator with the Workers' Action Centre, a worker-based organization in Toronto that works to improve the lives of people who earn low wages and have unstable employment, told Metro Morning that the high cost of living means low-income people have to live on the outer edges of Toronto's inner suburbs, such as Etobicoke or Scarborough, and sometimes even further. Transportation costs are "huge" and a commute to work can be one to two hours and lots of time on public transit. People are living in housing that is "not great" and in "disrepair," she said. They often have to share one-bedroom apartments with other people, live in units that have bed bugs or cockroaches, or where windows don't open, and where they are constantly thinking about safety, Ladd added. "Not only do you have to deal with the stress of making low wages and trying to make ends meet, but also you are also constantly dealing with looking for housing, looking for better housing or dealing with the appalling conditions that come with that housing," she said. It's hard to find a one-bedroom apartment in Toronto for less under $1,000, Ladd added. "I think the question should be: Is it reasonable to charge the kinds of rates that we are seeing in the city?" she said. Ladd said the high cost of living, combined with the lack of affordable housing, also means minimum wage workers have "completely limited" choices. "You have to take what you can get," she said. "If it means moving to Pickering, or if it means living in a rooming house, you have to do what you have to do." Ladd noted the government has not yet introduced legislation to freeze the minimum wage at $14. "We're hoping that they will listen to the people and will actually understand the significant contribution that happens to people's lives when they have more money in their pockets," she said. "Businesses thrive, but also, they can actually start to pay for better housing, some fundamentals, again not luxuries, but basic necessities." 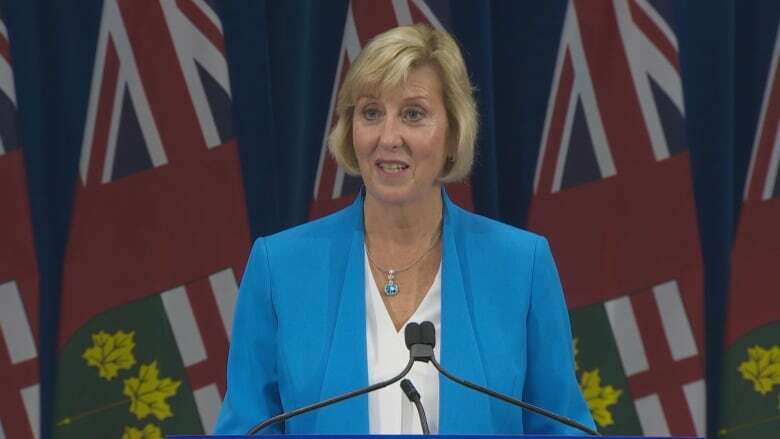 Last week, Labour Minister Laurie Scott told reporters that the provincial government is going to "pause" the minimum wage hike at $14. Business groups have lobbied the province saying the most recent increase prompted them to raise prices and cut staff hours. The minimum wage increased from $11.60 to $14 an hour on Jan. 1. "The increase of 20 per cent this year was a lot for businesses to absorb, so we're putting a pause on the minimum wage at $14 an hour," Scott told reporters at Queen's Park. She said the decision was made to give businesses the "chance to catch up" and added that the government was also helping low-income people with tax breaks and decreases in hydro and gas prices. Scott said the province is committed to keeping the minimum wage at $14 but also that recent job losses can be partly attributed to a "rapid" increase in the minimum wage. She added that the province is committed to cutting red tape, regulation and taxes to stimulate the economy and is reviewing labour reforms, namely changes to employment standards, brought in by the Liberals. She said the government will make a decision this fall on whether to repeal the reforms. "Our goal is to have good paying jobs in the province of Ontario."